Michael Russell MSP, Cabinet Secretary for Government Business and Constitutional Relations visits Leask Marine Ltd in Orkney. Leask Marine were delighted to facilitate a visit by Michael Russell MSP, Cabinet Secretary for Government Business and Constitutional Relations. The minister was interested in the research & development of Leask Marine’s £1.5m Submersible Drilling Rig project that is being supported with SMART R&D grant funding. The company has designed, and is manufacturing and assembling the submersible drilling rig suitable for highly turbulent marine conditions, before progressing it towards commercialisation. The Minister also heard that Leask Marine were awarded the contract for the manufacturing and supply contract of a Surface Floating Platform by Instream Energy Systems / Corp of Canada. This is the very first ever tidal platform to be built in Orkney, and the platform is being designed for Instream by a consortium led by ITPEnergised Ltd. Leask Marine shall construct, equip, and assemble the platform in Orkney ready for the arrival of the operating systems and turbines that will be delivered later this year. 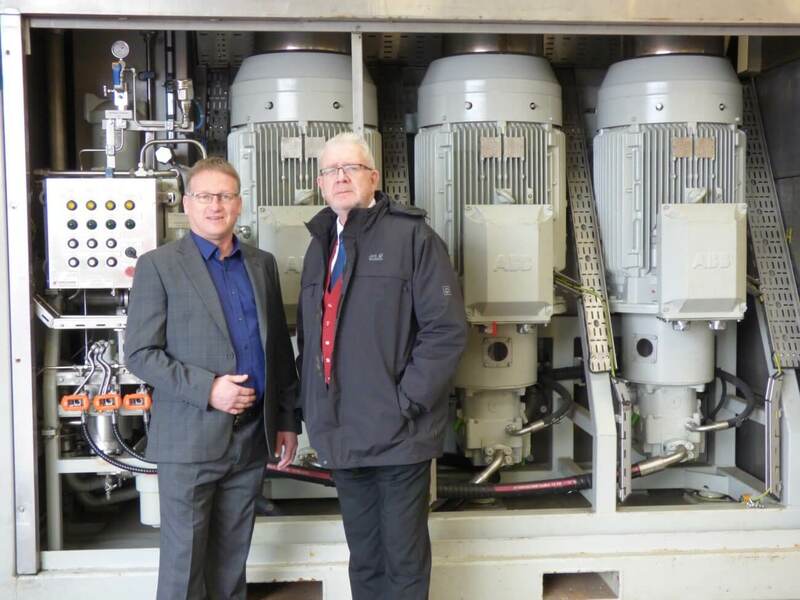 “It was great to visit Leask Marine and learn more about their innovative products and plans for growth. Forward thinking and innovative companies like Leask Marine are vital to the Scottish economy.